I invite you to check Sensors Multitool (www.sensormultitool.com) a very useful tool. 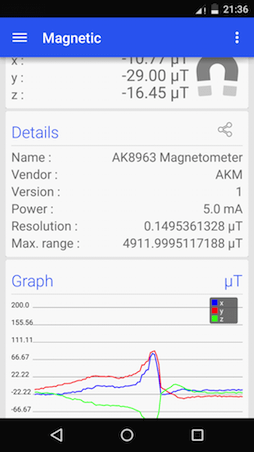 Features of each of the sensors on your smartphone(Brand, Model, accurate...) and all data is accompanied by graphics in real time. 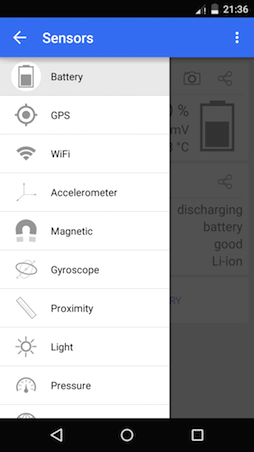 Sensors Multitool offers you all data from the WIFI network which you are connected, intensity, and information about your Smartphone in the network. 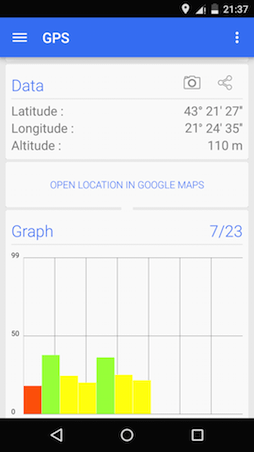 GPS data like your geographical position, the altitude at which you are, and the status of the satellites. All of this through a clean and simple interface following the guidelines of Material Design. Rate it, if you like!